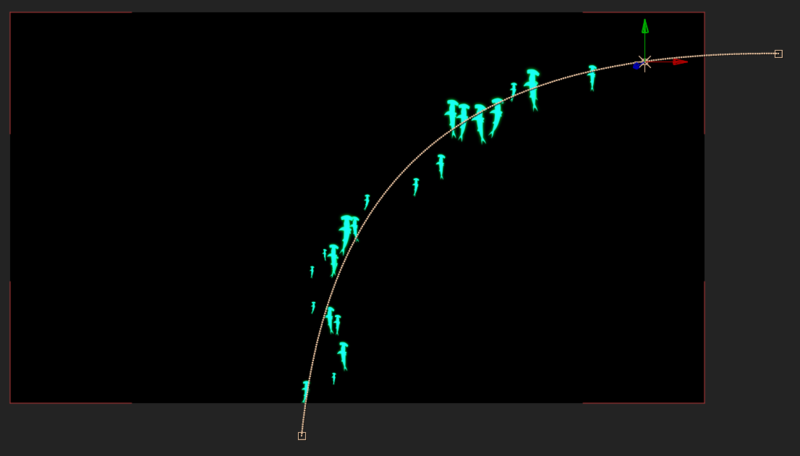 I’m setting up a 3d particle emitter and I’m trying to setup a flock of birds that auto motion orient to a curve. any ideas on how to approach this effect? Hi , please send us an email with your setup to support, and we will try to help. Did you find the answer? Im trying to do the same. I’ve just bought Stardust and I’m trying to achieve something similar – sharks swimming along a path. No matter what I try, the shark particles will not align to any kind of spline/light path. I have a Motion node, with Motion Type set to Light Path. The sharks swim along the light path, but their orientation does not change. The ‘Orient To Path’ checkbox has no effect at all. Also, the Particle Node’s Rotation Properties also seem to have very little effect: Changing the particle’s Up Axis does nothing, the Rotation Over Life graph has no effect, the Orient To: has no effect. I can change the angle of the particles with Angle X, Y, Z. I’d like to limit the rotation to 2D. So any suggestions would be greatly appreciated!